We use your Personal Information to provide and improve customer service. When you use our website, you agree to the collection and use of information in accordance with this policy. When you use our service, we ask you to provide us with certain personal information that we can use to contact you, regarding our service. We ask for your personal identifiable information such as, but not limited to your name, phone number and location (“Personal Information”). We collect information that your browser sends whenever you visit our Website (“Log Data”). The time you spend on our service page. We believe you know what cookies are. Cookies are files with small amount of data, which may include an anonymous unique identifier. Whenever you are visiting a website, cookies are sent to your browser from that website. The cookies are stored on your computer’s hard drive. We do not employ third party companies and subcontractors to facilitate our service, to provide the service on our behalf. 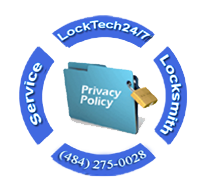 Our locksmiths performs all our services, and assisting us in analyzing how to serve you better. Our website contains links to other social sites, such as Google, Facebook, or Yelp which are not operate by us. If you click on a third party link, you will be directed to that third party’s website. When you visit third party website, first thing to remember is we have no control or whatsoever of responsibility for the content, privacy policies, or other practice of any third party websites, especially its services. We do not address anyone under the age of 13 (“Children”) in our website. With this in mind, we do not knowingly collect personally identifiable information from children under 13. If you are a parent or guardian and you are aware that your Children has provided us with Personal Information, please contact us. When we find a Child under 13 has provided us with Personal Information, we will delete such information from our servers immediately. Please contact us for question or service.